The hotel has a great quayside location in Sheffield. Ideally situated just 20 miles from the Peak District and with superb facilities including a gym, sauna, swimming pool and the Quays restaurant. Just 2 minutes walk from the centre of Sheffield. 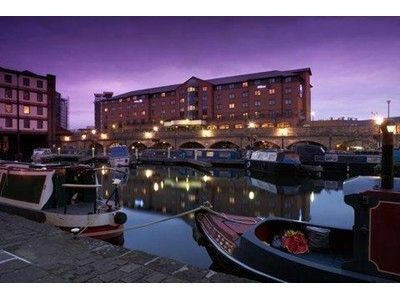 The Hilton Hotel in Sheffield is in a beautiful quayside location, just 2 minutes’ walk from the city centre. The hotel is easily accessible from the M1, and is only 20 miles from the Peak District National Park. The hotel has excellent facilities, including The Quays Restaurant and WiFi. There is also an indoor swimming pool, gym, jacuzzi, and sauna. For more information or to book Hilton Sheffield Hotel close to the Peak District, please click on the 'Visit our Website' or 'View Availability' links above.We hope you enjoy your visit to Sheffield, in South Yorkshire. Please see the map below for our location and links to local attractions and things to do in the area.